Blind Builders is a local family owned and operated business specializing in custom window treatments. 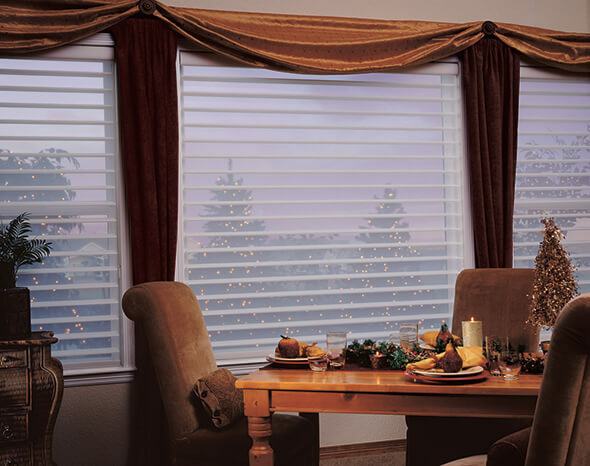 A custom drapery top treatment is the ultimate finishing touch over any window treatment. We carry fabric lines, available by the yard, for top treatment and upholstery projects. You are also welcome to supply your own fabric. Montgomeryville is a census-designated place in Montgomery County, PA. In 2010, Forbes Magazine ranked it in the top five most affordable suburbs. Located in Montgomeryville is the Water Tower Square shopping center.